Texas is performing poorly at caring for its disabled residents with serious injuries and illnesses. Over a quarter of people will experience some sort of disability in the course of their lifetime. It is important that those among who can no longer work have some safety net to provide for them. While laws like the Americans with Disabilities Act work to create a more accessible society, there is still much to be done. The rankings are based on a variety of factors including residential services, healthcare, employment and rehabilitation opportunities, as well as self-reported variables like percentage of disabled “not scared in their own home” or “lonely less than half the time”. The study placed a lot of emphasis on disabled people living in small group homes or in their family residences rather than large state facilities. The rankings were further broken into subcategories- Promoting Independence; Tracking Health, Safety & Quality of Life; Keeping Families Together; Promoting Productivity; and Reaching Those in Need. Texas performed relatively well in the Tracking (#23) and Keeping Families Together (#21) subcategories. However, The Lone Star State’s performance in the Reaching Those in Need subcategory was so abysmal it sunk Texas’ overall average. In order to improve in this subcategory, Texas will need to reduce our waiting lists for care, serve more people with mental health disorders, serve more disabled individuals in general, and use a broader definition of disability for determining eligibility for programs. This is not the first study to show that Texas needs to improve care for those with serious injuries and illnesses. The Agency for Healthcare Research and Quality places Texas last in healthcare quality. Other surveys have placed it towards the bottom in dealing with mental health issues. Predictably, Texas cities also rank low in comparative rankings for health care and quality of life for people with disabilities. Texas does not seem interested in improving its track record either, with lawmakers approving a $350 million Medicaid cut which will go into effect this year, leaving thousands of children without home health care. State schools for those with disabilities have developed a reputation for poor care with 572 incidents of Abuse, Neglect and Exploitation across 13 facilities holding 3,600 disabled Texans in 2013. Texas Governor Greg Abbot is disabled himself and has used a wheelchair to get around for the last 30 years. However, despite his ability to overcome great hardship, there has yet to be any indication he will use his position to advocate for others with disabilities. 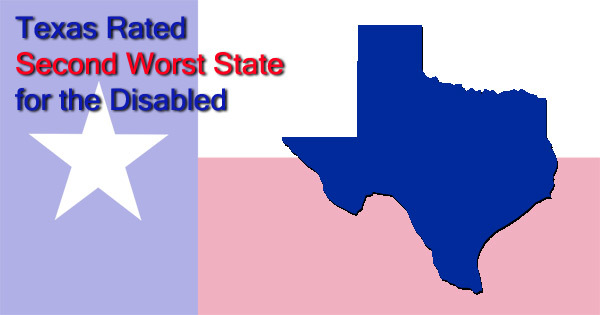 It may be a while until Texas gives up its’ title as the penultimate state for taking care of the disabled. Fortunately, Social Security Disability Insurance (SSDI) provides benefits for workers who have become too injured or ill to work. Unfortunately, it can be difficult to obtain SSDI benefits as the majority of applications are denied. 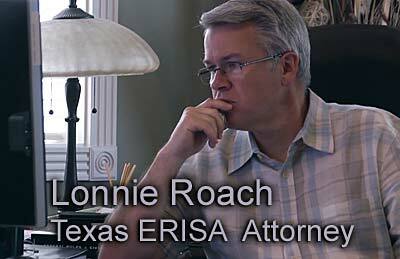 The attorneys at Bemis, Roach and Reed have experience fighting denials and helping disabled Texans get the Social Security benefits they need. Contact us today for a free consultation.